After twenty years of abandonment, and even forty in the case of the branch of La Hijuela, the traditional irrigation system of Barjas (Granada, Spain) was rehabilitated in collaboration with the National and Natural Park of Sierra Nevada and CEAMA. This campaign was undertaken between the months of February and March of 2014, using traditional techniques and knowledge provided by the local irrigators’ community. This activity involved 180 national and international volunteers and concluded with 5 kilometres of the channels restored, including the branch of La Hijuela. The initiative was launched and led by the MEMOLA project, an interdisciplinary approach to cultural landscapes of Mediterranean mountainous areas, taking as a central axis the historical study of two natural resources essential to generate agro-systems: water and soil. The study focuses on four areas: Sierra Nevada (Spain), Monti di Trapani (Italy), Colli Euganei (Italy) and Vjosa Valley(Albania). Landscapes and their structure are strongly conditioned by the need to ensure the livelihood of rural communities over time. Essentially they are the spatial representation of production and reproduction strategies of societies over time. Understanding them necessarily requires knowledge of the historical processes that have led to specific relationships with nature: mainly extraction and use of resources. These uses have largely shaped the medium, generating not only its shape, but also the culture that makes possible its management and maintenance. 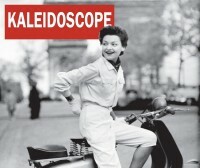 The various exploitation strategies have resulted in different landscapes and forms of cultural expression throughout Europe and the Mediterranean, but have also produced very important common areas. Agro-systems represent one of their greatest expressions. 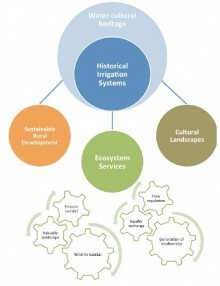 Agricultural traditions and the different ways of exploiting natural resources including management over time are crucial for conservation of the landscape and its ability to adapt to current global changes: globalisation and agrarian industrialisation, loss of peasant knowledge, loss of rural population and climate change. 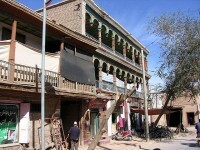 Conservation can be achieved through the exploitation of this heritage to generate environmental and cultural conservation strategies for sustainable development in rural areas; with the aim of protecting this cultural heritage and, at the same time, increasing and transmitting knowledge about it in order to benefit the local and wider European society. analysis of the productivity and resource use efficiency in the four historic sample-areas, through agronomic and hydrological resource-management models, taking into account the global climate change and the EU policies and strategies (European Landscape Convention, European water policy, Common Agricultural Policy, Joint Programming Initiative – JPI – on Cultural Heritage and Global Change). On 13th May i2CAT Foundation, in collaboration with the Universitat Internacional de Catalunya (UIC), organised the first RICHES open to all activity in Barcelona. The activity focused on building the project’s foundation and establishing the project's taxonomy: a set of basic definitions and conceptual frameworks which will delineate RICHES’ fields of research and further study on the context of change and the role of Cultural Heritage (CH) in the economic and social development in Europe. 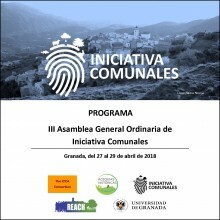 3rd General Assembly of "Iniciativa Comunales"
Memola project studies the formation process of historical landscapes in relation to the use of natural resources, especially soil and water, in order to define strategies for the conservation, diffusion and connection between cultural heritage and environment. The project produced two interesting animation videos illustrating the importance of shared water management and the way how it contributes to solve conflicts, promote and preserve culture identities of rural communities.